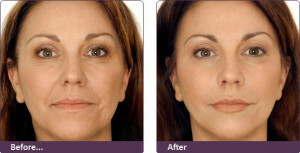 For a silky, smooth natural-looking smile Restylane® Silk is designed specifically for lips and the lines around them. Restylane® Silk has been approved for release in the United States! See the natural-looking difference Restylane® Silk can make in your smile. Of course, treatment results may vary. Ask your doctor for more details. Indications: The Restylane family of products includes Restylane®, Restylane-L®, Restylane® Silk, Restylane® Lyft with Lidocaine, andRestylane Lyft (formally Perlane)®. Restylane, Restylane-L, Restylane Lyft with Lidocaine, and Restylane Lyft (formally Perlane) are indicated for the correction of moderate to severe facial wrinkles and folds, such as nasolabial folds. 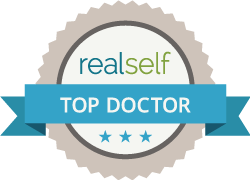 Restylane and Restylane-L are indicated for mid-to-deep dermal implantation. Restylane Lyft (formally Perlane) andRestylane Lyft with Lidocaine are indicated for implantation into the deep dermis to superficial subcutis. Restylane Silk is indicated for submucosal implantation for lip augmentation and dermal implantation for correction of perioral rhytids in patients over the age of 21.Restylane Lyft with Lidocaine is also indicated for cheek augmentation and for the correction of age-related midface contour deficiencies in patients over the age of 21. Restylane and Restylane-L are also indicated for submucosal implantation for lip augmentation in patients over the age of 21.